Wow, I can't believe it's already November. I love this time of year. The trees are beautiful. You really miss out on this kind of stuff when you grow up in Southern California. I can't get over the red. I love LOVE the red trees and bushes. 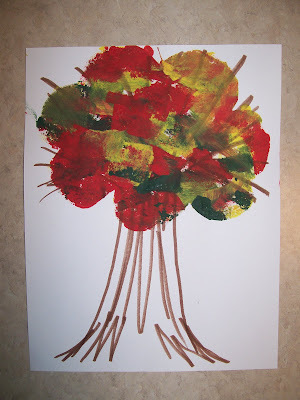 To celebrate the beautiful fall trees--we made our own. 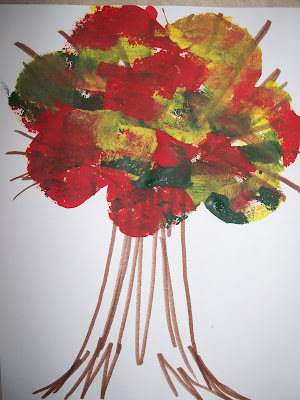 My daughter loves to paint and I'm always on the lookout for painting projects for us to do together. I came across this one in the Family Fun Magazine. 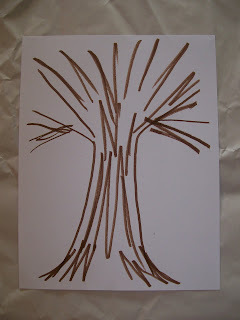 First draw the tree trunk on card stock with a marker. 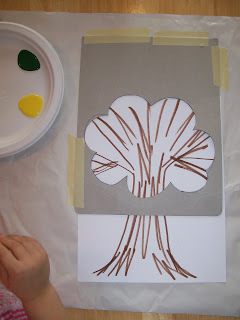 Then cut out a cloud shape from another piece of card stock or thin cardboard and place over the top of the tree. 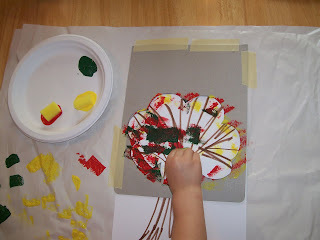 Pick the colors of paint you want to use and sponge paint the leaves onto your tree. When you're done remove the cloud stencil and let dry. Hang up your art for all to enjoy! I saw that and thought about doing it... my boys would love it! ps. 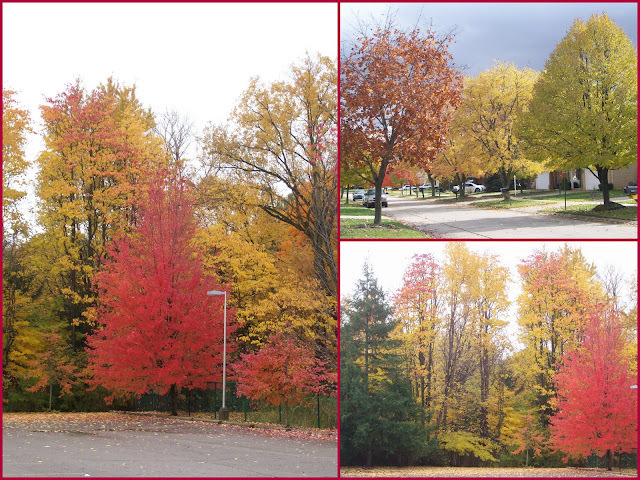 I love the red trees too! We are going to do this one! Thanks for sharing, oh and we made the monkey cupcakes. Huge hit at our house! Glad you had fun with the cupcakes.